This is a group project done with Daniel Kaufman & Sebrand Warren that dealt with creating a softgood that promoted the conservation of energy. 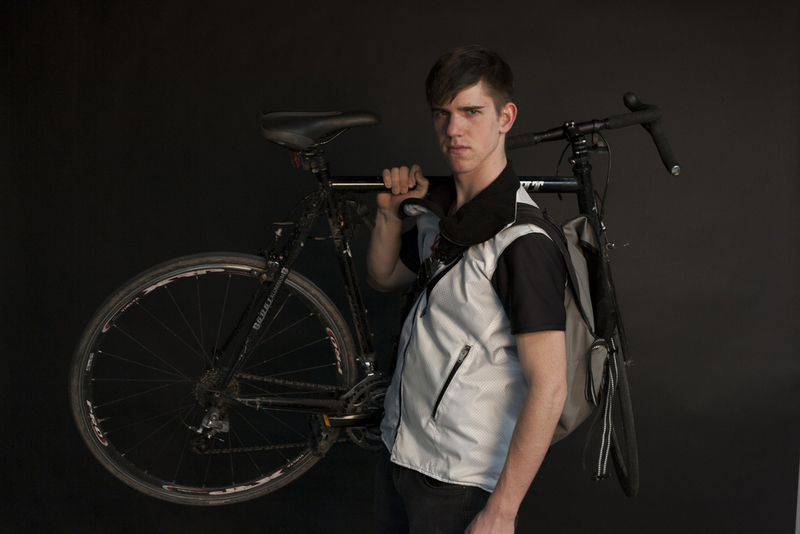 It is our belief that creating an adaptive, multi-seasonal cycling jacket, people interested in choosing bicyclic transportation will be more inclined to bike even with varying climate. The jacket uses an integrated inflatable bladder system to change the levels of insulation between the rider and the extremities.